One of the best ingredients that can ruin or enhance a dish, in my opinion, is the type of butter you use. 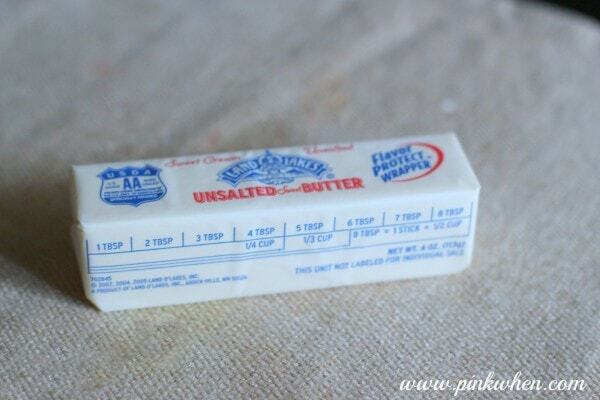 Using salted or unsalted butter (depending on the additional ingredients) can make or break it with flavor. I like the measurements on the wrapper. 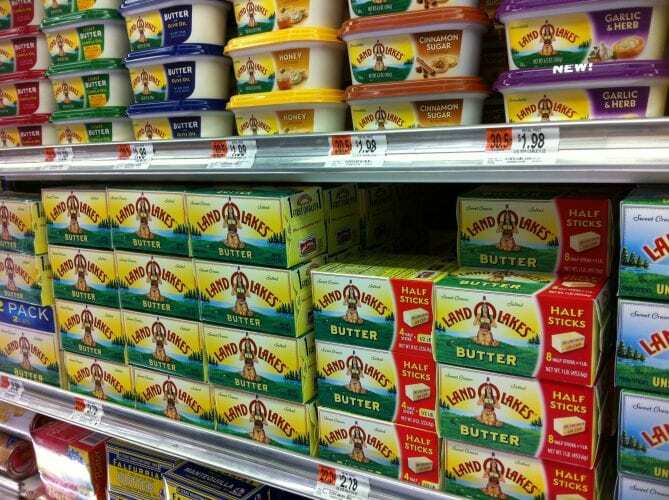 This genius idea that was thought of years ago allows me to see the amount of butter I am using efficiently. It keeps me sane when cooking, and it’s the little things like this that make me happy. I love making tons of casseroles during the holidays, but this is the one that always has the family going back for seconds. Hot or cold, with or without ice cream, this one is a KEEPER. To Make the sugared pecans, you will need 1 lb. Pecan halves, one egg white, 1 cup white sugar, 3/4 tsp salt, 1/2 tsp cinnamon, and 1 tbsp water. Mix the egg white and water in a medium bowl until frothy. Add in the pecan halves and mix until covered. Add in the cinnamon, salt, and sugar and mix well until pecans are thoroughly coated. Bake on a prepared pan at 250 degrees for one hour, mixing every 15 minutes. Do this the day before, so you are not rushed. Step 1: Heat your oven to 350. 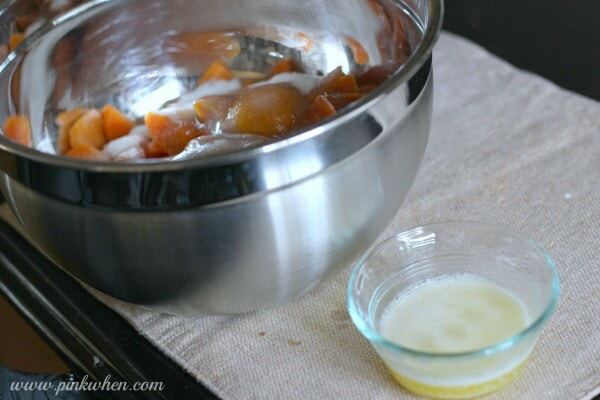 Place your sweet potatoes in a medium sized mixing bowl. Add your salt, butter, eggs, vanilla extract, ground cinnamon, white sugar, and heavy cream. Mix thoroughly for a minute. Step 2: Take your sugared pecans and place them in a blender. Chop up your pecans until they are small and easy to sprinkle. Step 3: Take your sweet potato mixture and place in a prepared 9 x 13 glass baking dish. Cover the top with finely chopped sugar pecans. Bake for 30 minutes or until the topping is light brown. Serve warm as a side dish, or add some vanilla ice cream to the side and serve as a dessert. It is THAT good. 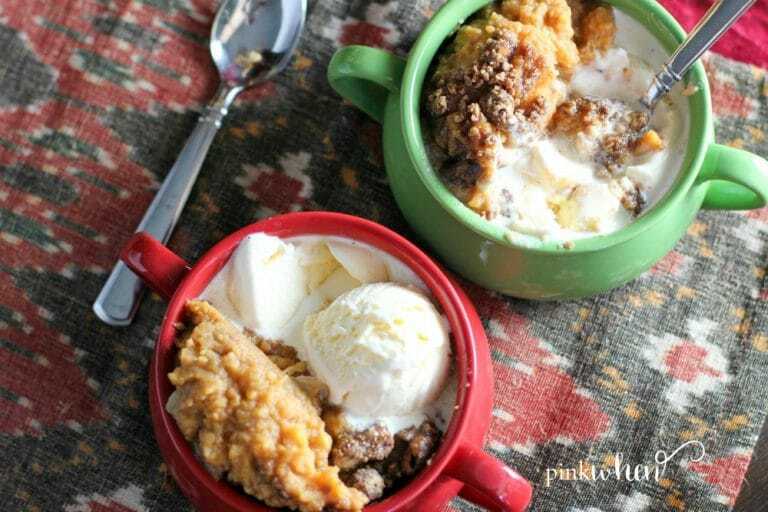 Casserole or dessert? 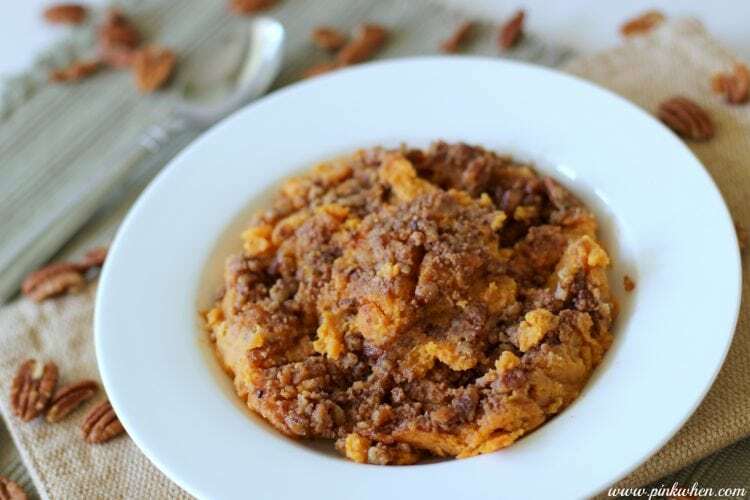 You won't know the difference with this gourmet Sweet Potato Casserole recipe. Step 3: Take your sweet potato mixture and place in a prepared 9 x 13 glass baking dish. Cover the top with finely chopped sugar pecans. Bake for 30 minutes or until the topping is lightly browned. This is one of those recipes that will elevate your cooking status to your friends and family. They won’t believe you made it if they don’t see you do it. It is amazing. 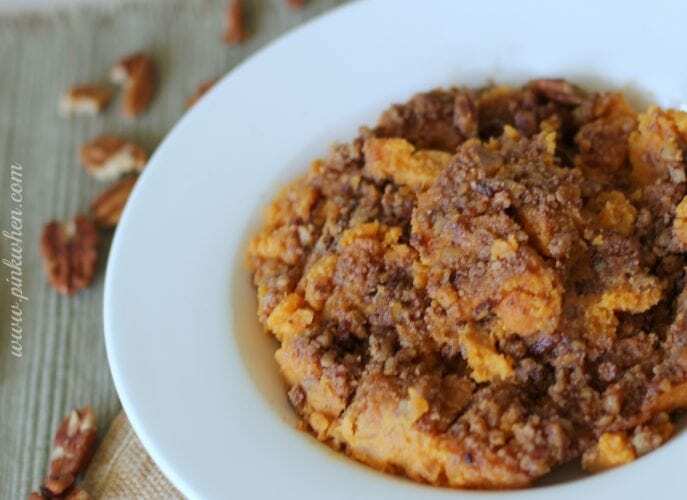 If you try any recipe this holiday baking season, make sure you try this Gourmet Sweet Potato Casserole Recipe. You might also find this great list of Healthy Thanksgiving Recipes informative. 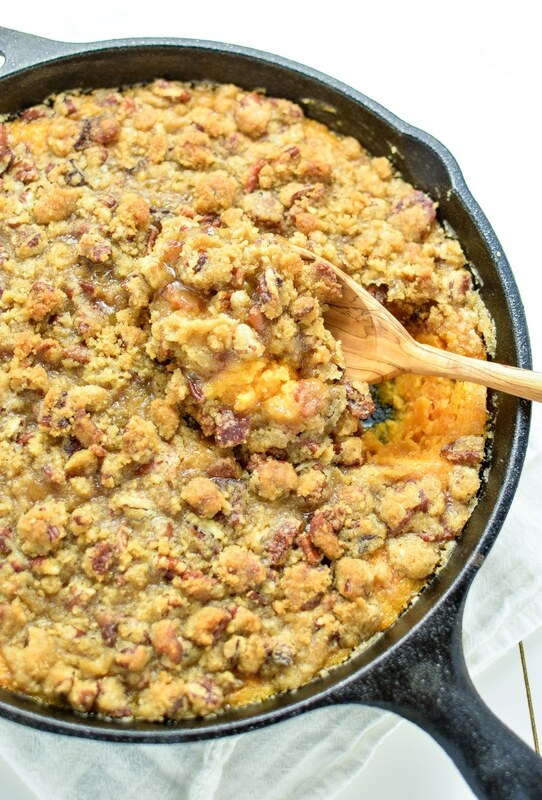 You might also like this Skillet Sweet Potato Casserole. 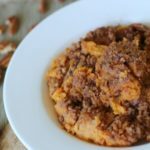 If you would like a little twist on this recipe, check out this Pineapple Sweet Potato Casserole with Candied Pecans. This gets a resounding WOW from me. I love those ambiguous meals that can be used for dessert and/or a side dish in dinner. Heck, it can even be breakfast, right? It is sooo good….it is one of those recipes I get the most compliments on. Everyone loves it, even the kids! We love sweet potatoes but never tried it cooked this way! Must.Try. Thanks Jhanis, you will LOVE this recipe. Oh this looks seriously good! Can’t wait to try it! Thanks Kristy! It’s so easy, sticks are always the best to use. My hubby loves sweet potatoes! I need a good recipe since it isn’t something we great up eating… thanks! Thanks Kimber, you will love it! This sounds amazing! I’m wondering, though, do you have an alternative to the pecans? My mom is allergic to all nuts, but I think she’d like this, if there was some other ingredient to use. I’m sure I could omit that part, but probably wouldn’t be as good, right?! Thanks!! If she is allergic to all nuts I would omit them altogether. It will make a difference in the taste, but it will still be amazing!